We are delighted to inform you that Ukraine was accepted as an Applying Registering Authority Member of WAHO by unanimous vote of both the WAHO Executive Committee and the Voting Delegates at the 2019 WAHO Australia Conference and General Assembly. WAHO is therefore very pleased to welcome Ukraine as the most recently accepted Applying Registering Authority Member of this Organization. 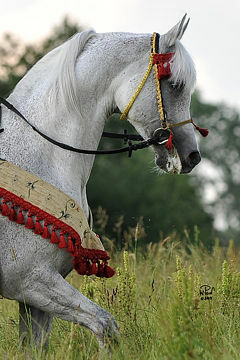 The Ukrainian Arabian Stud Book, under the authority of the government approved Ukrainian Horse Breeders Association, is already working closely with the WAHO office to prepare their first Arabian Stud Book. Please note that anyone exporting horses to Ukraine must inform their Registry and request export certificates, so the horses can be properly tracked and included in their new Stud Book in due course. WAHO is pleased to welcome our two most recent new Associate Members. Contact details can be found at the Associate Members page of this website. 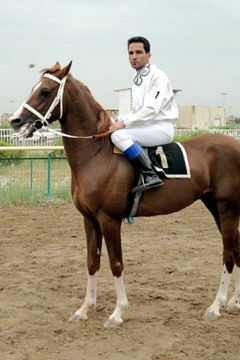 From Romania: Romanian Arab Horse Racing Organization (Asociaţia Română a Calului Arab de Curse – ARAC). Arabian Horse Culture – History: Publishing reports of persons who traveled through the Arabian Peninsula, had contact or even lived for some time with the tribes and learnt from them about the Arabian Horse; publishing reports about old strains etc. 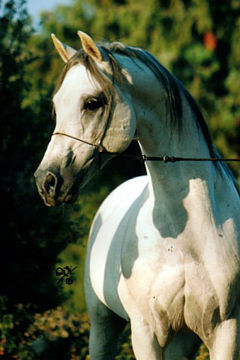 Arabian Horse Education: Introducing dam and sire lines, breeders from the 19th and 20th Century, reporting about scientific subjects etc. Keep up to date with Conference news on facebook! To download the WAHO 2019 Conference Registration form, please click here! To download the WAHO 2019 Conference Brochure, please click here! 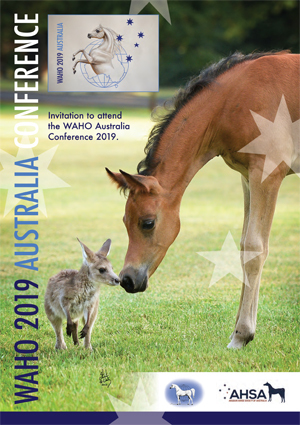 Please click on the picture, to get the latest WAHO Conference 2019 information leaflet, including the program for the Conference as well as preliminary information on the pre- and post-conference tours. In brief, our WAHO Membership database is not online and WAHO does not collect, store, keep or use any personal information other than your contact details. WAHO will never sell your information to other companies for marketing purposes. The names and addresses of our Executive Committee, and the full contact details of our Registering Authority Members and of our Associate Members are available to the public and kept up to date on the WAHO website. The contact details of our Individual Associate Members are not available to the public and are not shown on the WAHO website, with the exception of links to your own websites when you have specifically requested this. For our Registering Authority Members and our Associate Members the information we hold consists of the organization’s name, contact name(s), address, phone and fax numbers, email address and website if applicable. For our Individual Associate Members, the information we hold consists only of the details you provided to us on your Membership Application form and any later updates: your name, address, phone and fax numbers, email address and website if applicable. WAHO does not pass on any contact details of our Individual Associate Members to non-members, except when we provide address labels for Conference mail-outs to our Conference hosts. Our printed Membership Directory is only distributed to our members and Individual Associate Members can control the content of their information to be included in it. Our members can inform us of updates to contact details or their wish to retire from membership at any time. WAHO thanks all our members, in every category, for their continued support. All of us at WAHO were deeply saddened to learn that Dr. Nasr Marei passed away on 17 October 2017. 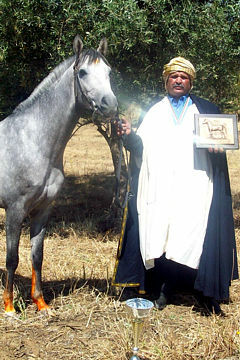 A Life Member of WAHO since 1973, Dr. Marei was world-famous as a master breeder, with many generations of home-bred beautiful Arabians at his celebrated Albadeia Stud in Egypt. Dr. Marei was always a gentleman, generous with advice to fellow breeders, an excellent teacher and a kind mentor to new judges. A talented photographer and writer, he was a renowned breed expert, travelling the world to share his knowledge, but it was always clear that he was at his happiest when he was at home with his beloved horses and dogs. 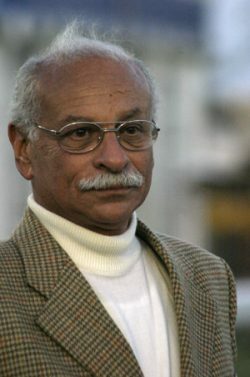 We send our most sincere condolences to his friends and family, and hope that they will be comforted by the knowledge that although Dr. Nasr Marei will be greatly missed by his many friends around the world, he will never be forgotten. You may also read his obituary on IN THE FOCUS. 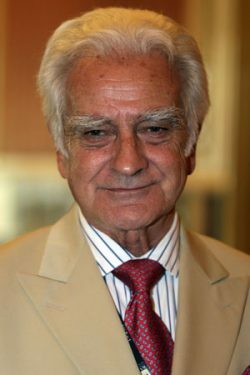 All of us in WAHO were very saddened to receive the news that Dr. Manuel Domingues-Heleno, until recently the President of the Portuguese Arabian Horse Society, passed away on the 19th September 2017, after a long illness which he fought very bravely. 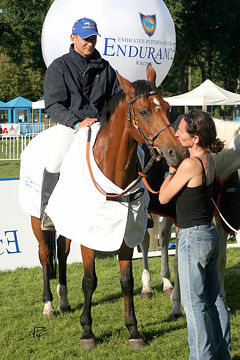 For very many years Manuel was a great friend to WAHO, and to the Arabian horse both in Portugal and world-wide. It was always such a great pleasure to see him and learn from his great experience when he attended the WAHO Conferences. We all had the greatest respect for him. His reports to the Conferences were always full of interesting information and detail, it was clear that he took the greatest pride in the achievements of the Arabian horses of Portugal, especially their capabilities under saddle in many different disciplines. 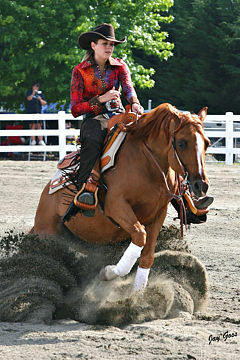 As a horseman and rider, he was supremely talented. We feel sure his important legacy will live on in Portugal through the many wonderful horses produced by his long-term breeding programme at his famous Haras Biarritz. He will always be remembered with great affection by all his many friends around the world in the international family of WAHO. We send our most sincere condolences to all his family for their loss. We are delighted to inform you that China was accepted as an Applying Registering Authority Member of WAHO at the 2017 WAHO Bahrain Conference. 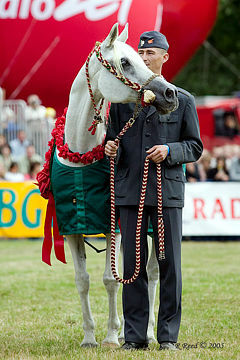 The China Arabian Horse Association, under the authority of the China Stud Book Committee which is part of the China Horse Industry Association, will be working closely with the WAHO office and the Registries from which the 200 or so Arabian horses currently known to be in China were imported. 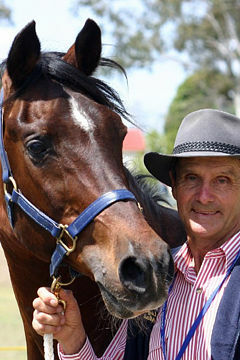 They hope to have their first Arabian Stud Book completed in time for acceptance at the 2019 WAHO Conference. It is very important that anyone exporting horses to China informs their Registry and requests export certificates, so the horses can be properly tracked and included in the new Stud Book in due course. 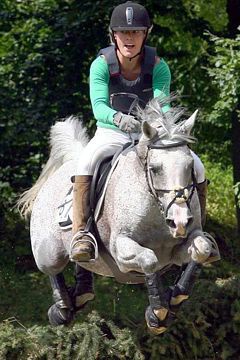 We are also pleased to welcome WAHO’s most recent Associate Member, The Palestine Equestrian Federation. 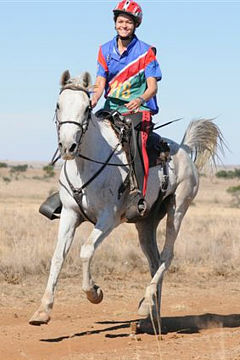 During the 2017 WAHO Bahrain Conference in February, the issue of equine welfare problems in endurance events was raised in a well-received speech by Peter Pond. 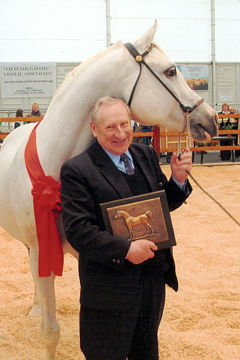 He emphasised that the issue of equine welfare in its many and varied aspects has come increasingly important to all at WAHO, saying: “In this regard it is my very sad duty to report to you that from all of the available published evidence and information it is increasingly clear that our Arabian horses are suffering and indeed dying in the name of sport. I refer of course to what has been happening in some areas in endurance competitions, in which our Arabian horses are very much involved. 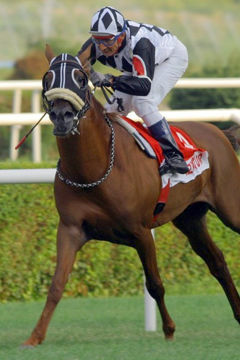 Just in the last few weeks at least nine horses have been reported as fatally injured in certain endurance races, and I use the word races advisedly due to the very high speeds being recorded on some recent rides, and we never even hear of horses injured or dying in training, or even soon after a ride at which they were retired. All of us on the Executive Committee are extremely disturbed by this chain of events. In our opinion this rate of attrition rates as serious abuse of all the horses taking part. From WAHO’s point of view we are of course, especially concerned about the fate of the many Arabians and derivative Arabians involved. It is deeply shocking and it simply cannot be allowed to continue without our voices being raised in defence of these horses. 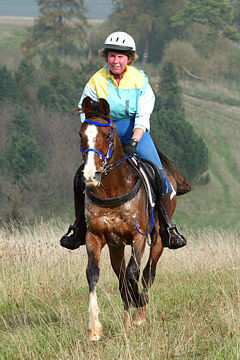 These horses have no voice of their own and no choice but to go at the speeds dictated by their riders. 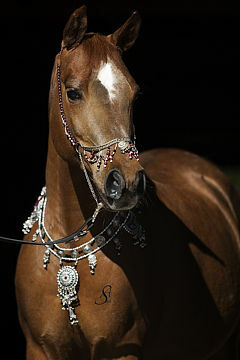 Arabian horses have tremendous heart, tremendous courage and tremendous bravery, which is why they are the chosen breed for endurance. To stay silent and effectively abandon them to the fate would be to go against our core values and objectives. The Veterinary Genetics Laboratory at the University of California (UC Davis) has recently made a new test available. Occipitoatlantoaxial malformation (OAAM) is a developmental defect in which the first cervical vertebra (atlas) resembles the base of the skull (occiput) and the second cervical vertebra (axis) resembles the atlas. Affected individuals demonstrate an abnormal posture, with the neck extended, and varying degrees of ataxia. 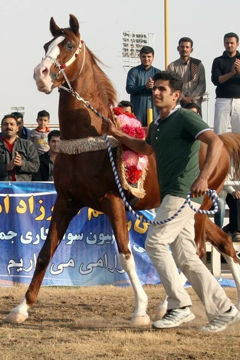 OAAM is presumed to be inherited as an autosomal recessive defect in Arabian horses but different mutations appear to be involved. 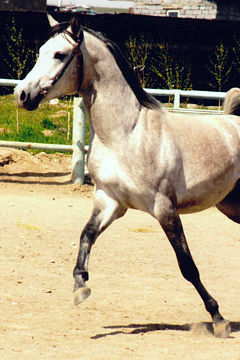 One such mutation consists of a large deletion in the homeobox gene cluster (HOX) has been identified by researchers at the School of Veterinary Medicine, UC Davis that is associated with one form of OAAM in Arabians. The genetic basis for other forms of OAAM are under investigation. The Veterinary Genetics Laboratory is now offering a DNA test using hair samples for the recently identified OAAM mutation. 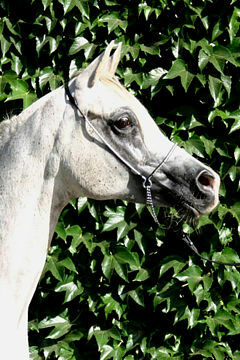 The test is recommended for horses in Arabian lineages that have produced OAAM affected foals. 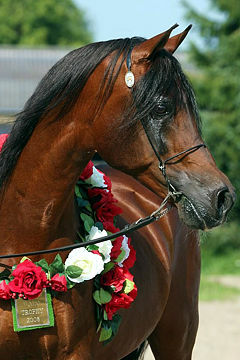 Information from the test helps breeders and owners to identify carrier horses and to select mating pairs accordingly to avoid producing affected foals. It is with great sorrow and regret that we must inform you that Baroness Ilse von Heske-Bothenwald lost her life in a dreadful crime which took place at her home on 29 December 2016, at the age of 74. This tragic event has shocked her many friends in Austria and around the world. 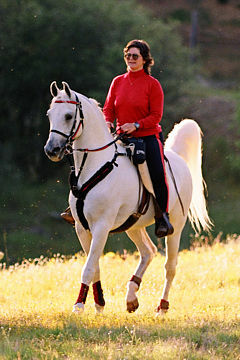 For several decades Mrs. Ilse von Heske had been the Manager of the Austrian Arab Horse Society and Registrar of their Stud Book. 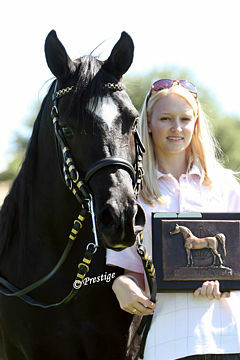 She was definitely one of the most competent and experienced registrars in all of WAHO, she was tireless in helping the owners and breeders in Austria as well as communicating with all the other Registrars around the world, and with WAHO, in a professional and friendly way. 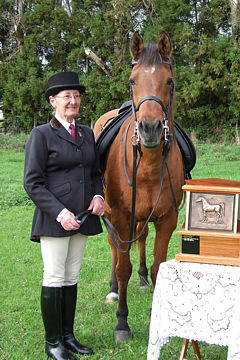 Her passing leaves a great gap which will be very hard to fill and she will be greatly missed. All of us at WAHO extend our deepest sympathies to her family and all the members of the VVOE. Until further notice, all inter-registry correspondence should be sent to Mrs. Anne Heiloo, President of the VVOE. Contact details may be found here! Some of our WAHO Members are already aware of what has happened in Poland in the past week. For those of you who are not, a quick summary is that due to the rapid and sweeping changes brought in by the recently elected Polish government, several hundred directors or managers of state enterprises at all levels and professions have already been replaced in their posts. This is in accordance with a new law which allows that more than 1,600 civil service directors, who are apolitical, can be sacked and replaced without the need for a competitive board. It had been hoped this would not affect the Arabian State Studs, which have always been protected by Poland’s previous governments, whatever their politics, as they were considered as National Treasures because of their importance to the nation as a whole. Unfortunately, on Friday 19th February 2016 this hope was destroyed. 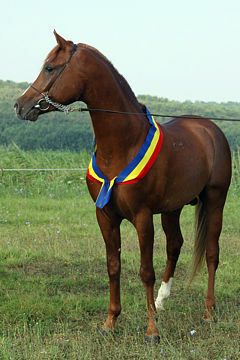 In the late afternoon, Dr. Marek Trela (Director of Janów Podlaski Stud and WAHO Vice President), Mr. Jerzy Białobok (Director of Michałów Stud) and Mrs. Anna Stojanowska (Inspector of Horse Breeding at the Agricultural State Property Agency) were simultaneously dismissed from their posts with no warning and no reasons given to them by the authorities. Since then, the Agricultural State Property Agency (ANR) has appointed a new individual at both Janów Podlaski and Michałów to take over the management, but from available information neither appears to have the level of experience necessary for such an important task. This action, which has quickly reverberated around the world, is of immense concern to WAHO, as we believe that the safe future of these iconic State Studs with their long history and continuity of breeding has been put at risk. We therefore felt it imperative to act by expressing this concern to the authorities in Poland. The letter reproduced below was sent respectively to the President of Poland Mr. Andrzej Duda, to the Prime Minister Mrs. Beata Szydło, to the Minister of Agriculture Mr. Krzysztof Jurgiel, to the Minister of Foreign Affairs Mr. Witold Waszczykowski and to the President of the Agricultural State Property Agency Mr. Waldemar Humięcki. Download our Letter to HE The President of Poland from the President of WAHO here. 71 years ago this month, Janów Podlaski’s groom Jan Ziniewicz was responsible for saving the stallions Witraz and Wielki Szlem during the Allied fire-bombing of Dresden. 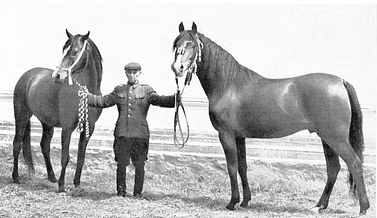 In this later photo he is shown holding the stallions Almifar (grandson of Witraz) and Czort (son of Wielki Szlem). WAHO would like to reassure our Members that Dr. Marek Trela of course continues in his position as our highly valued and internationally respected Vice President, with our full support. The WAHO Executive Committee is also sure we can rely on all our WAHO Registering Authority Members, Associate Members and Individual Associate Members to support not only Dr. Marek Trela, but also Mr. Jerzy Białobok and Mrs Anna Stojanowska, who have been largely responsible for continuing to raise the international reputation of the Polish State Studs’ Arabian horse breeding programmes. 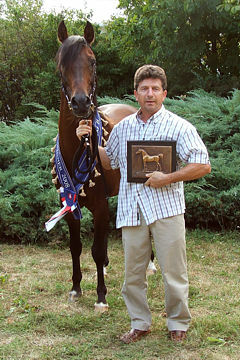 Between them have over 100 collective years experience of working at and with the Polish Arabian State Studs, and as such they are rightfully held in the highest regard around the world. 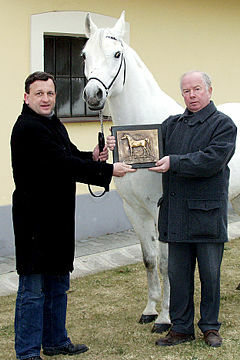 To lose this wealth of wisdom overnight, without allowing them the opportunity to pass on their knowledge to their successors, would create a great risk to the successful breeding programmes of Poland and thereby to the many WAHO Members around the world who rely on incorporating Polish Arabians into their breeding programmes. WAHO sincerely hopes the Government of Poland will reconsider their decision. 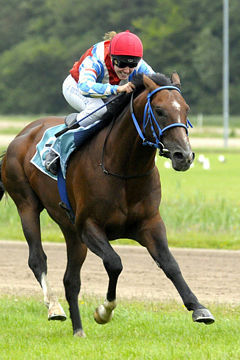 The Brooks Equine Genetics Laboratory at the University of Florida in America is working to identify the genetic cause of Juvenile Idiopathic Epilepsy (JIE) in Arabian horses. The project is led by Assistant Professor Samantha Brooks, who many of you will remember as one of our excellent Guest Speakers at the 2011 WAHO Conference, and is funded in part by the Arabian Horse Foundation (AHF) which is a WAHO Associate Member. The researchers are seeking to identify the mode of inheritance, identify the mutation(s) associated with JIE and ultimately develop a diagnostic test to assist owners and breeders in identifying carrier breeding stock. 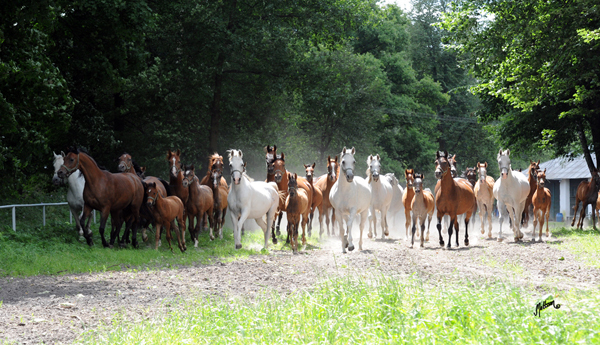 To advance this research project, assistance from the Arabian horse community is requested. DNA samples are needed from horses that have been previously diagnosed with JIE, as well as horses that have had an offspring with JIE. 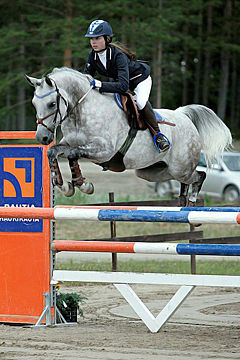 All studies are confidential, so participant and horse identity will not be released. 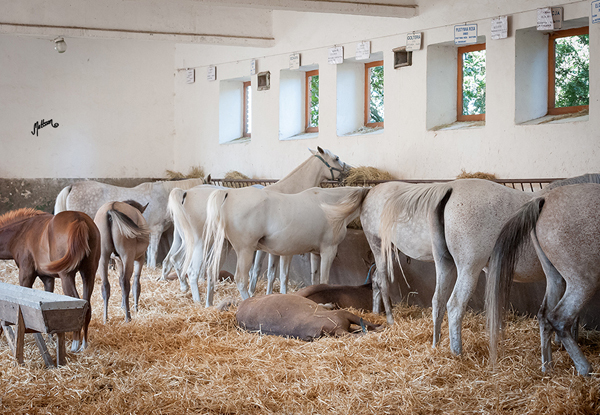 Juvenile idiopathic epilepsy is a seizure disorder and affected foals usually begin exhibiting clinical signs between two days and six months of age. 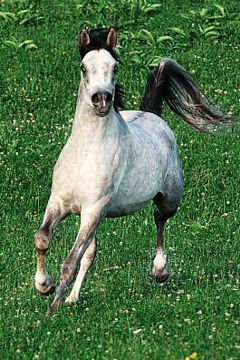 The seizures exhibited by affected foals generally begin with muscle stiffness all over the body and the foal might fall over. After the stiffening ceases, rapid muscle contractions then begin all over the body. The seizures can last from only a few seconds up to about five minutes. During this time the horse could lose consciousness or possibly injure itself either falling over or thrashing on the ground. Once the episode has ended the foal usually exhibits some temporary post-seizure signs including blindness, lethargy, and disorientation. 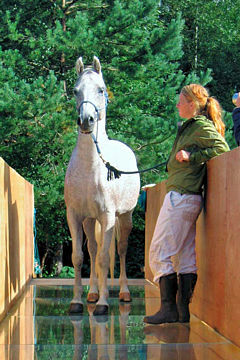 Once the horse has outgrown the seizures it can usually go on to live a normal healthy life. Anti-seizure medications have been effective in reducing frequency and severity of the seizures and are helpful in decreasing risk of injury during an episode. 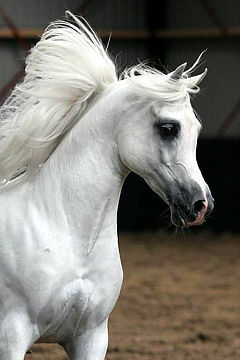 Further information about the Arabian Horse Foundation can be found at their website. WELCOME to ECUADOR and to SERBIA: It gives us great pleasure to announce that, during the 2014 WAHO Conference, two new countries – Ecuador and Serbia – were warmly welcomed to full Registering Authority Membership, with their horses accepted into the WAHO Definition, having completed all necessary requirements during their time as Applying Members, and having published their first WAHO approved studbook.